of all beer parlours within the police community in the state. This order was given as a result of a viral video showing a police officer who is now dismissed,Kadima Useni with appointment number,176219, drunk while on duty around the Akowonjo,Dopemu area of Lagos State. Shutting down the beer palours will avoid the fact of occurring again of such act and also the dismissal of the officer will serve as a deterrent or others as believed by the CP. 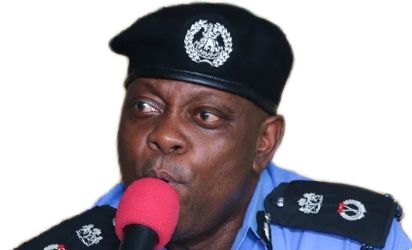 'According to the state police command spokesperson, CSP Chike Oti, the Lagos police boss directed the officer in charge of the Command Provost Section to embark on tour of all police formations and barracks within the state with a view to identifying and shutting all beer parlours within the police community so as to prevent a reoccurence of such an embarrassment'. The commissioner also used the opportunity to warn against offering policemen alcoholics while on duty by members of the public. He went further by saying that henceforth any policeman found drunk on duty will be penalised too.